This homemade version of Coriander Tarragon BBQ Rub is easy to make and easy to use when in a pinch with dry rub rib recipes. Mix and ingredients together in dry container with lid for preserving and using later. Sprinkle on the dry rub and let rest at least an hour then go right to the grill. See our BBQ Faqs for ideas and information on grilling ribs. 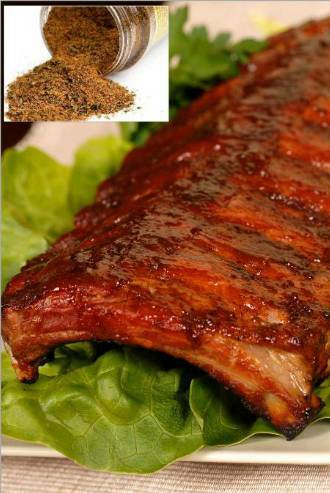 Enjoy Ingredients Tarragon and Coriander BBQ Rub for Ribs Recipe.